Ron and Maggie Tear Photography: Amazing Grace. This craft belongs to Sheri, a superb nautical biologist and captain. 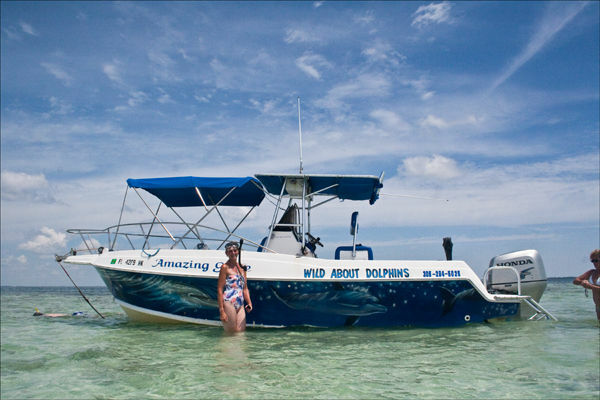 She took us out of Key West to visit a sandbar, snorkel and see Dolphins. She played them music as they swam beneath the craft, leaped and played till they disappeared into the Gulf of Mexico. It was an experience like no other, if you visit Key West look her up for an Amazing Grace experience ! You wont be disappointed ! Gulf of Mexico, Key West, Florida, USA.